Got ripe bananas? 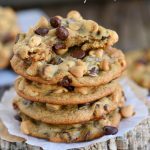 These easy Peanut Butter Banana Chocolate Chip Cookies are WAY more fun than making banana bread and so delicious too! Super soft and absolutely amazing! Yesterday we found ourselves in a situation that we have learned to love – extra ripe bananas that need to be made into something amazing! Banana bread, banana muffins, banana cake – there’s so many delicious and exciting ways to use up those ripe bananas. 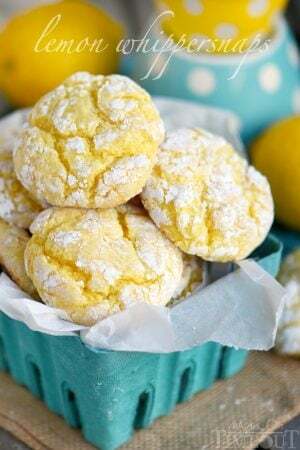 These cookies are one of our favorites. Some time ago I shared the original recipe for these cookies – Chocolate Chip Banana Cookies. They have received rave reviews! 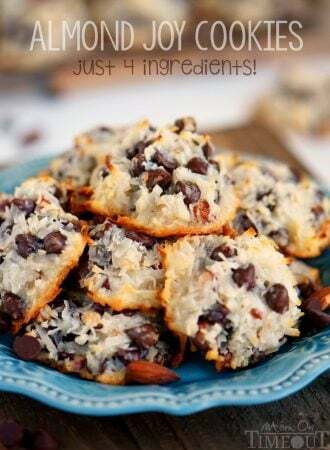 Extra soft and incredibly tasty, they are many reader’s new favorite way to use up their own ripe bananas. 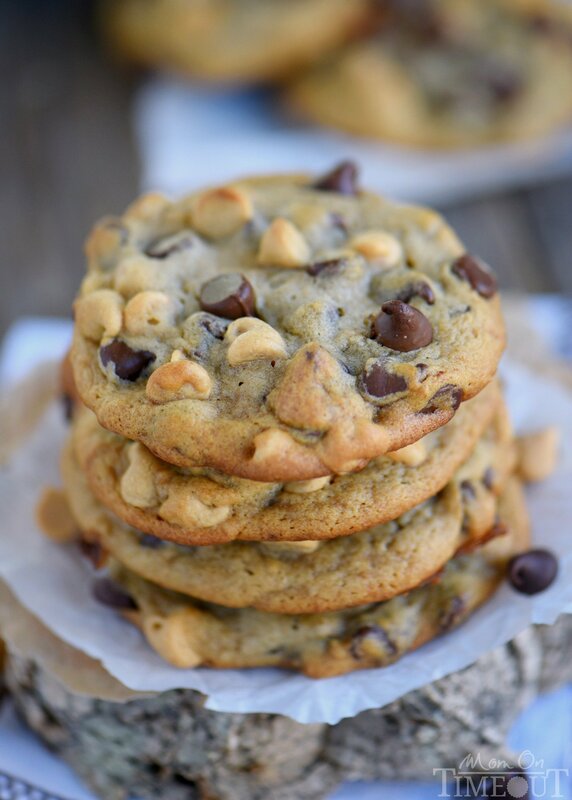 Enter these Peanut Butter Banana Chocolate Chip Cookies. 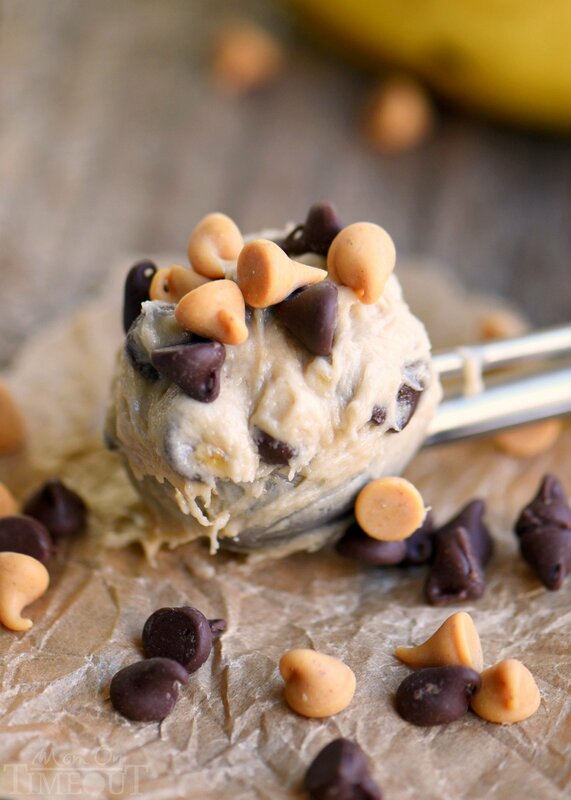 Peanut Butter Chocolate Chip Banana Cookies seemed sooo much harder to say 🙂 Chocolate and banana go together beautifully, of course. But you know what goes even better with bananas? Peanut butter! The addition of peanut butter chips really takes these cookies over the top. You’ll notice that there isn’t an egg in the ingredients list – this is NOT a typo. You really don’t need it in this recipe which is awesome if you know someone with an egg allergy. There’s a lot of different ways you can customize these amazing cookies. One of our favorites is by adding in nuts. Walnuts, pecan, macadamia nuts – all delicious! The cookies are extra soft so let cool completely before storing. I like to separate them with a piece of parchment paper if I need to stack them. 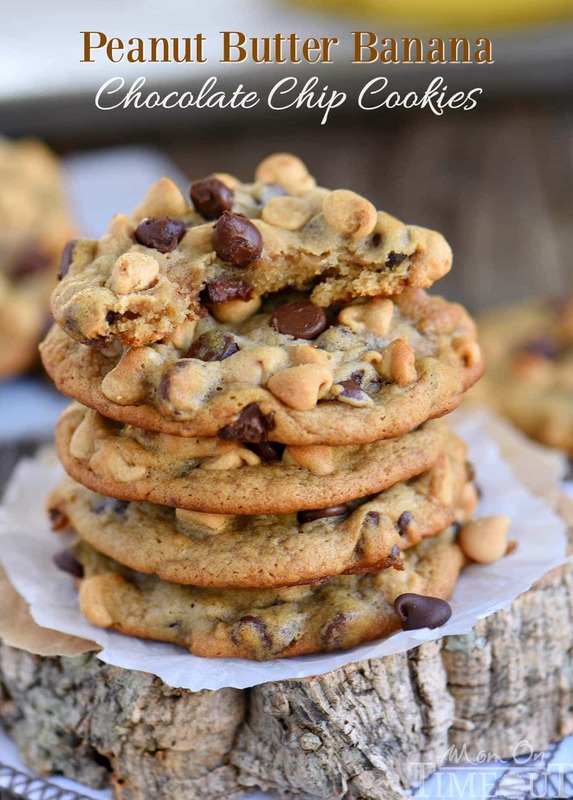 The next time you find yourself with a couple extra ripe bananas, do yourself a favor and give these easy Peanut Butter Banana Chocolate Chip Cookies a try! Enjoy! Whisk together the flour, baking soda, corn starch, and salt in a medium bowl and set aside. Just made my first batch, I used dark chocolate chips with the peanut butter chips, AMAZING! Thank you! Mmmm! So good, right? Dark chocolate is always a good idea lol! Have a great week Carlene! Are any changes required if this is made with brown butter? Is it OK to double the recipe as is? No and yes 🙂 Brown butter would be amazing in this recipe. Actually, go ahead and add a tablespoon of butter. You lose a little in the browning process 🙂 And then bring me over a dozen – I’m drooling just thinking about it! Will SALTED butter make a big difference? No, not at all. Go for it! I didn’t realize I had Carmel chips and not peanut butter. 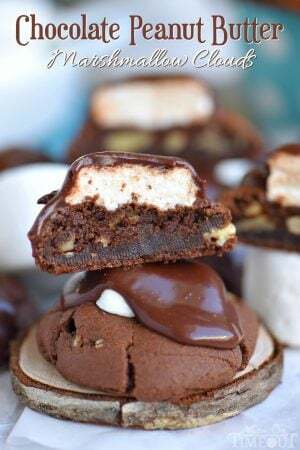 Chocolate, Carmel, banana cookies ——— yes, yes, yes! I think that was a happy mistake 🙂 Can’t go wrong with that combination! Hi! These are our new favorite cookies,and that’s saying something,since I’m not a banana fan. I’m doubling my batch today so my hubby can take them to work tomorrow for SuperBowl Sunday Potluck. I will be spreading the news about these awesome cookies. Now I need to figure out if it’s possible to add real peanut butter. Thanks for sharing! 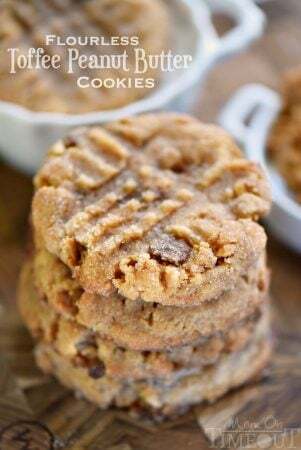 I made these once and I did not have peanut butter chips, I substituted about half a cup to three force of a cup peanut butter !! My kids loved them! !